Save the date! The Improving Nurse Retention Conference 2019 will be held on the 1st of July. 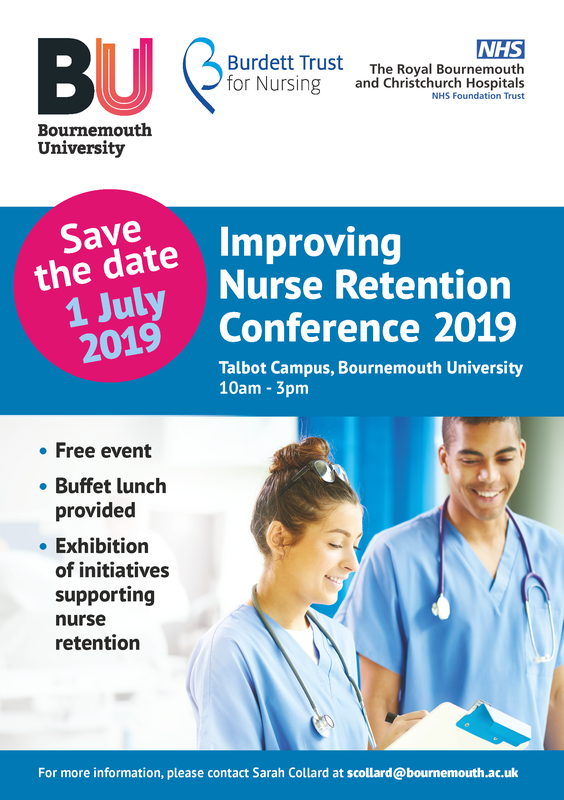 This event will explore the outcomes of a Bournemouth University and Royal Bournemouth Christchurch Hospitals NHS Foundation Trust research project, funded by the Burdett Trust for Nursing, which has focused on improving nurse retention and providing an opportunity for participants to share practice. Dr Sarah Collard, of the Faculty of Health and Social Sciences, is happy to announce the event which will take place at Bournemouth University’s Talbot Campus from 10am-3pm. The event is free to attend and a buffet lunch will be provided. Click this link to book your place. 13th March 2019 Qualitative research collection finished-onto the next stage!